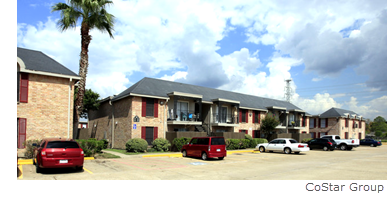 ​​​​ HOUSTON – Dalcor Cos. has acquired the Vista at Gessner for $51 million, or nearly $63,000 per unit. The 590,685-sf complex consists of one- and two-bedrooms, averaging 728 sf. Free data and no sign-ups for Houston Multifamily Market Data 2018.